My only issue is that we had dinner included but it was a set menu which became a little boring. It would make a huge difference if the menu was changed every few days. Prime Plaza Suites Sanur is an awesome venue for families. The staff are friendly, welcoming and take a genuine interest in you and your family. Our kids loved Camp Splash and the nightly entertainment - and we enjoyed having time out as a couple knowing that our kids were safe and having fun. We couldn’t recommend Prime Plaza highly enough! We loved this hotel. The upgrade to a 3br apartment was awesome with lots of space to spread out in and 3 very happy children. The Splash Park was the kids (12, 10 and 7yo) favourite location and it was great to be able to leave them there while we sipped cocktails by the other pool. The staff were always smiling and very helpful. Access to the shops in Sanur via a lane way at the rear of the resort was very convenient and a nice quiet stroll to get to town. We loved it and would be happy to stay here again. Excellent holiday in Bali. 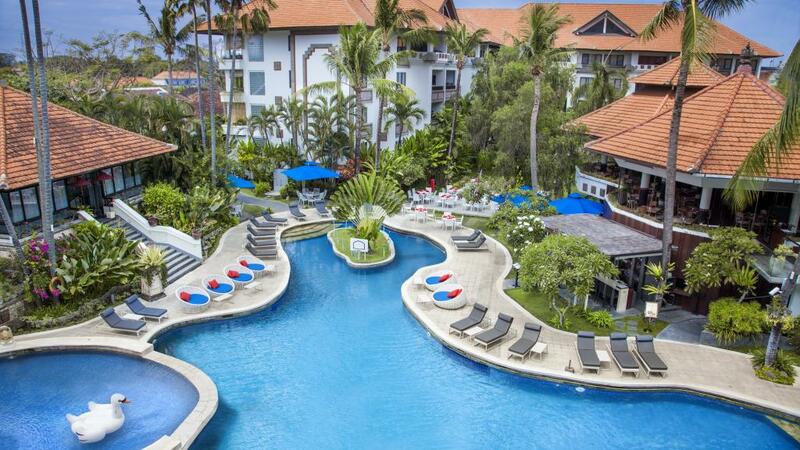 It was our first time visiting Bali and the Paradise Plaza Suites were excellent and the kids club provided there was very good with friendly staff.The kids loved going there. Will definately return to the Paradise Plaza suites again and recommend to friends. Happy overall, rooms were huge and kept nice and clean. The food was good and so was the service. On the downside the gym / exercise room was terrible, and unsafe. There is some traffic noise from the major road it is located on. It is only a 7 minute walk to Sanur shops, but they should replace the security guard at the back gate with a camera and an remote lock so it can be used 24 / 7 instead of being locked at 5:30pm. First class,friendly service.central to most activities.Highly recommended.